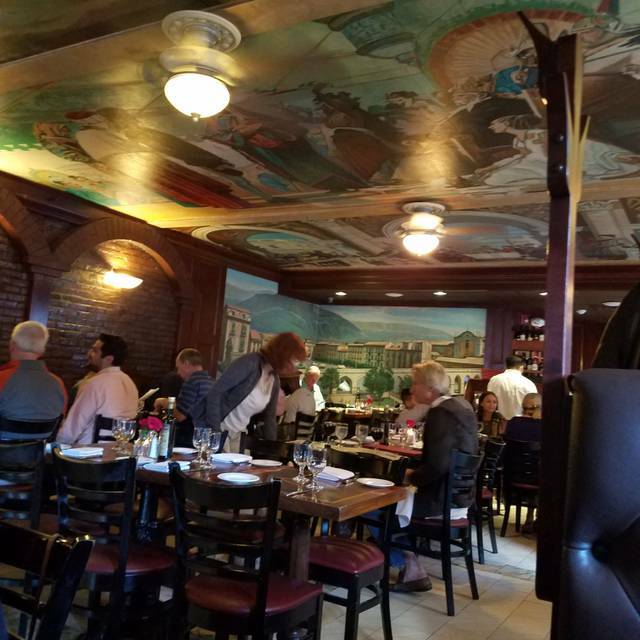 Lucia Ristorante, established in 1977, is a landmark in the North End of Boston! 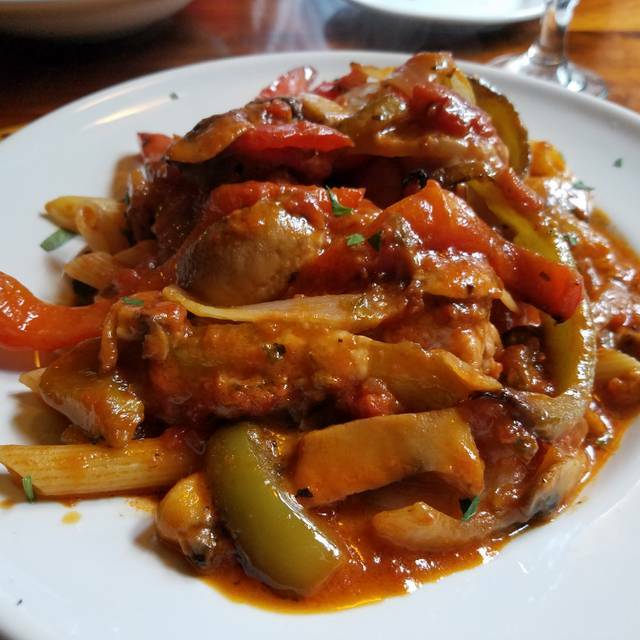 We prepare and are honored to serve traditional, as well as innovative, cucina from the Abruzzo Region of Italy. Lucia's was pretty decent overall. The atmosphere was warm and inviting as they sat our party of three in comfortable booths. We shared the calamari appetizer, which were pretty good. We almost finished the generous portion. 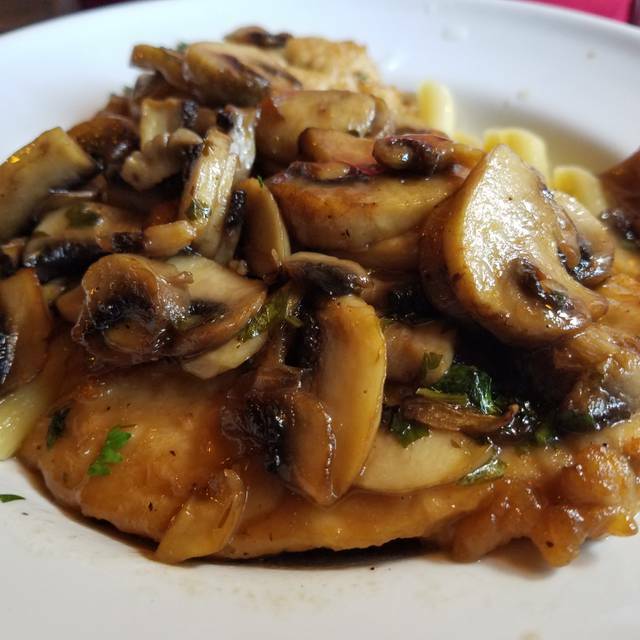 Two of us had the Pollo Marsala, which other than needing quite a bit of salt, was quite good. Plenty of mushrooms in good sauce. The other person in our group had the Pollo Lucia. She thought the flavor was just ok and it was bland like the Marsala, needed salt. The staff, from receptionist to waiter, were excellent. Timely and attentive to the details. 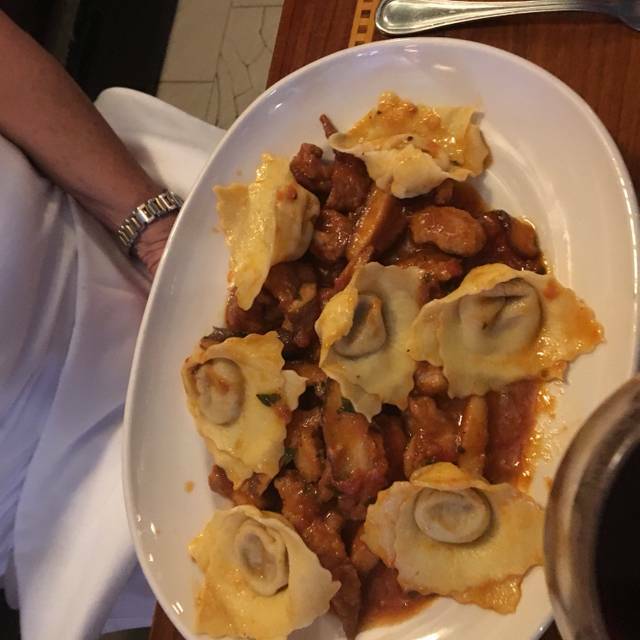 I took my 16 year old son and his friend to Lucia's this week. We all loved our meals. My son got the homemade pasta with meatballs and I got the homemade pasta with mushrooms and truffle oil. Everything was delicious. We were a larger group there the night before the Boston Marathon. 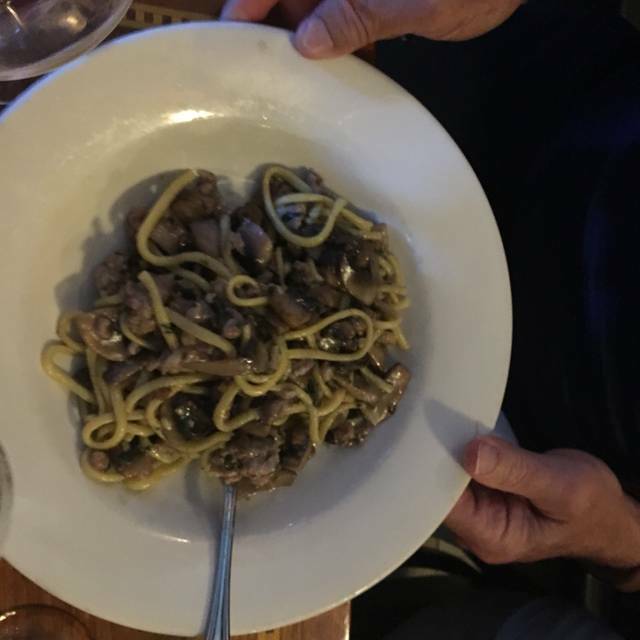 The staff at Lucia was a pleasure to deal with (including the multiple additions we made to our party leading up to the weekend) and the food and service was great, as usual. Will definitely be back! Delightful meal. Very authentic. Excellent service and ambiance. Service was quick, waiter had great recommendations, food was amazing! Always warm and welcoming. Delicious food. Engaging servers. Beautiful restaurant in the North End. Excellent service. 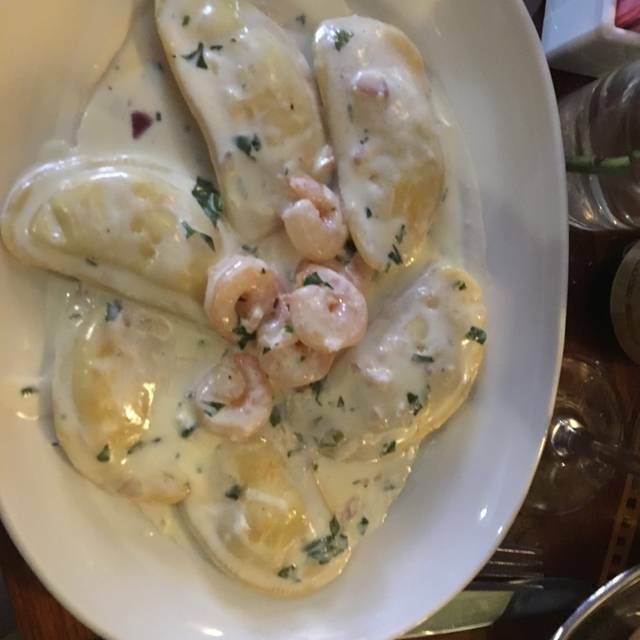 The lasagna was one of the best, and the shrimp scampi apertivo was a 10+. Seriously. Really enjoyed our dinner. Food was flavorful & portions size good. Ambiance was nice & we had a great table. Service was ok, lengthy periods of no service but it was Saturday night....Definitely recommend as an option for North End dining. Walked into the restaurant and was immediately greeted with smiles. My daughter and I were seated in the downstairs part of the establishment. It was a very nice intimate setting without feeling crowded. We were not really hungry but ended up eating more than we thought because everything tasted so good. 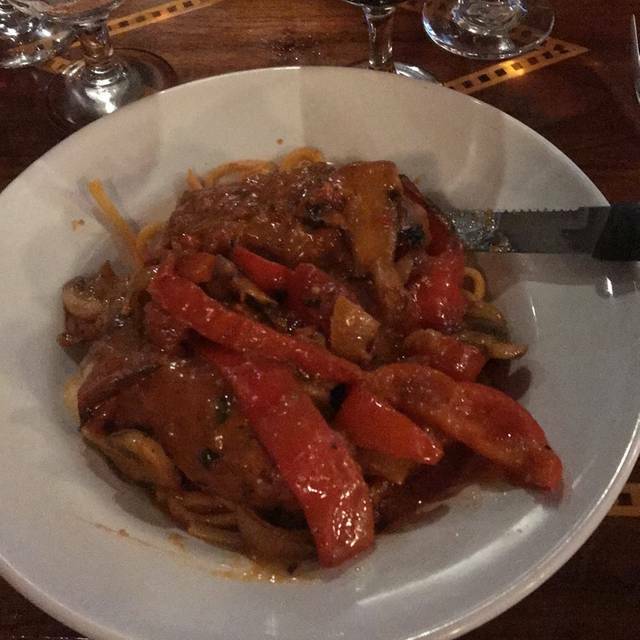 The fresh pasta was a home run. The service was excellent. I would certainly go back. Love Lucia's. I always want to eat here when I am in the North End. Great food. Friendly staff. I got the simplest dinner on the menu - penne rigati in a light, pink cream sauce (basically penne in a vodka sauce). First taste, I knew something was off. Then the rest of the table (my family members) tried it and we all agreed that it tasted like blueberries. Maybe they used Blueberry vodka by accident when making the sauce? It was awful. We also ordered a few bottles of white wine which came to the table at room temperatute - not chilled. I won't be going back here. We went to Lucia's on Saturday March 23 for my birthday. Our original reservation was not until 8:30 but we were seated right away even though we were about an hour early! The food, wine and atmosphere was awesome. We were greeted immediately and got our drinks very quickly. Bread and salads came out next and were superb! My boys loved their dishes - pasta with marinara sauce and chicken parm! My Chicken Lucia was outstanding. To finish the night, we had molten lava cake that was to die for! Thank you for making my birthday one to remember! We had a blast! The food and service was fantastic! We booked our son's graduation dinner there b/c we had such a wonderful meal! Wonderful restaurant. Great food. Solid prices. Would recommend. Despite having reservations, we were seated at the rear of the main level near the servers’ station area which was fairly noisy during our meal which was a Birthday dinner. One of my favorites in the North End. Always good food and service. The manager is very nice and it’s a lovely little restaurant but I wouldn’t recommend the veal. Lucia is one of my FAVORITE North End locations. Their pesto tortellini is a dream, and my absolute favorite dish there. Portions are generous, staff is attentive, and Lucia seems to have a bit more room than many North End locations. I’ll definitely continue to come back. Our food came out way too quickly. We barely had two sips of wine before our meal was out. It would’ve been nice to relax and not feel rushed. We have eaten at Lucia's before. The staff (wait staff and hostess) were friendly and very efficient. We had a party of six. The food arrived together and hot. Service at the table was excellent. Good ambience and a great night out. Consistently a very good spot. Great food and staff. I highly recommend this restaurant for anyone looking to dine in the north end. Amazing as always. 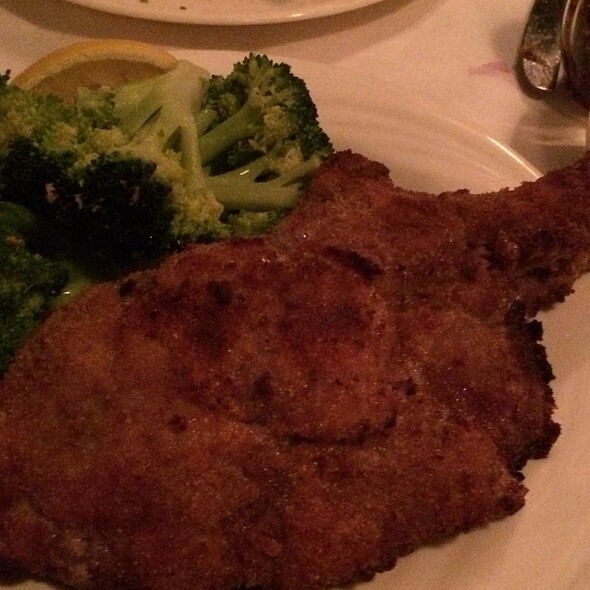 The veal chop is 10 stars! Truly my favorite restaurant in the north end. Our waiter Cristo was outstanding as always! I Am looking forward to returning again in the near future. Sat on the third floor that was filled with a younger crowd which my friends and I loved, but from a quick glance, it looked like the first floor had more of a family ambiance. Service from waiter Ricardo and busboys was perfect and so fast. The meal was amazing as well, we got the mussels and fried mozzarella for an appetizer and I got a chicken, veal and broccoli entree and loved all of it. The people I was with raved about their food as well, chicken parm and a steak. Highly recommend! The food was delicious! Probably the best meal and dining experience we have ever had. The food was good, but only just. It’s was incredibly loud. My wife and I could barely hear each other. We sat upstairs and after a while it started emptying out and got a little quieter. Service was a little slow but there were some large parties so not that big of a deal and understanding. They should invest in some acoustic treatment. It was so loud. The waiter was excellent, very friendly and provided great service. But both my boyfriend and I were underwhelmed with the meals we ordered. 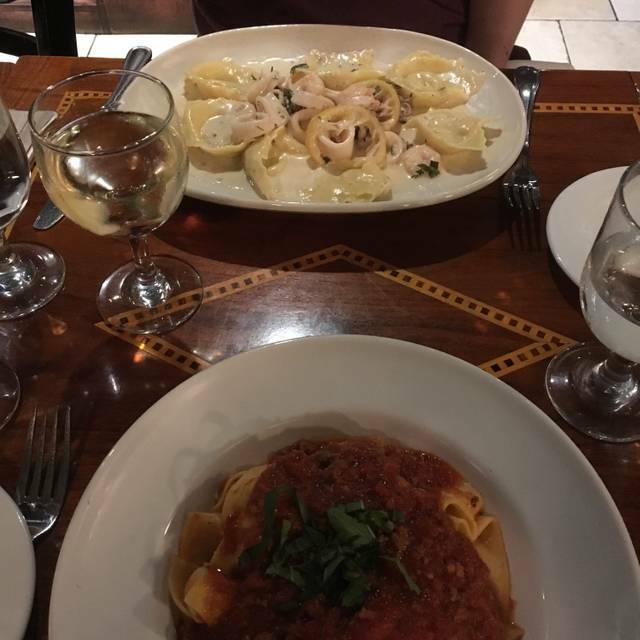 We both got pasta dishes that weren’t terrible, but also weren’t that great, especially considering how pricey they were. I wouldn’t say the food is worth how high the prices are, although the overall ambience of the restaurant was nice. The food is solid and the service during the meal was fine. They don't want you hanging around after you've paid, that's was made obvious. Be ready for happy birthday singing and yelling children. A good budget option for the north end, not a place for a special date. Lasagna and chicken saltimbocca to die for. We were late due to heavier than normal traffic. We arrived about 25 mins past our 7 pm reservation. The staff graciously seated us. This restaurant is a favorite for birthdays and special events. Meals are consistently good. Often, we've waited more than one hour for a table. It can get pretty crazy, especially on warm nights. It has always been worth the wait. The quality and presentation of the meals never disappoints. This is a great cozy little restaurant - our server had good recommendations as we had a hard time deciding what to get. I would totally go back to try more of the items on the menu. This is a great place for a date night or to go out with a group of friends (just make sure to reserve in advance).